Children participating in the Helen O’Grady Academy programme taking part in a theatrical performance at the school. 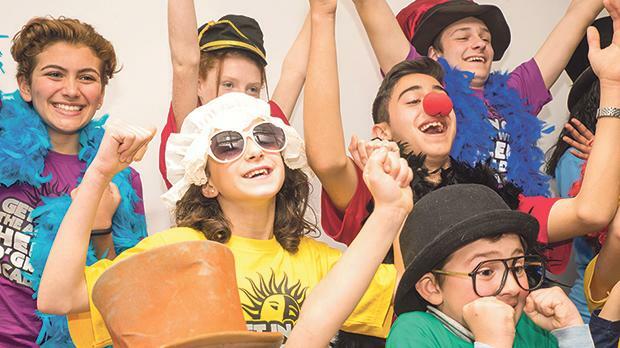 Children from Għargħur primary school are reaping the benefits of an award-winning international development through the drama programme offered by the local Helen O’Grady Academy. The programme is designed to tap into students’ inherent creativity while encouraging them to act confidently and speak clearly. The character-building classes give children the confidence to participate in other aspects of their lives, encouraging them to ask questions, seek answers and share information with others. School head Ben Portelli said the participating pupils had shown a marked improvement in their use and understanding of English adding that the children were benefiting very positively from these sessions. Alan Montanaro, director of the local branch of the academy, said: “The importance of drama in education is recognised, and the developmental benefits are enormous. The academy’s dy­namic curriculum has been drawn up over the years by psychologists, teachers, and even students themselves to ensure that the lessons remain relevant and important to the children.” He added that each week over 90,000 students attend Helen O’Grady drama classes worldwide, all enjoying the ethos that “a lesson learned through fun will never be forgotten”. The children’s participation in the programme is supported by the Alfred Mizzi Foundation. Jane Mizzi, a representative of the foundation, said “since the programme does not involve examinations or any additional pressures, there can be no failures – only a motivating sense of achievement”.